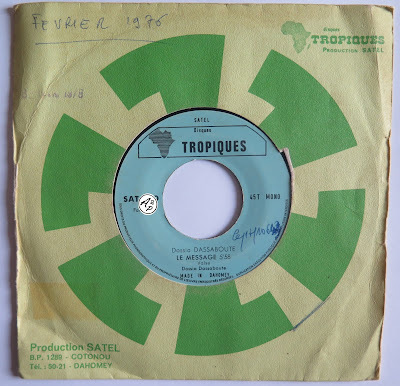 Composed in 1970 in one night only, “Le Message” is the first song from Dossia Pierre Dassaboute, one of my favourite Beninese musician, acoustic guitar player, politician and writter. This song comes from one of the earlier records of the “Disques Tropiques” record label from Benin. At the time, Dossia wrote this track for his ex girlfriend, “Aminata”, who was cheating on him. This song became his most popular song, and Dossia released after that two albums, one in 2004 and another one in 2012. Merci, Armand. Appreciate what you do.